I need help. I have a really unusual fantasy. I keep fantasizing about being eaten by a girl in my class called Angela whole and alive. I want to be in her stomach where I will be happy forever. Can you help me stop the fantasy? What is even worse I have a crush on the girl. If we could all see each other's secret thoughts and fantasies, we'd all be horrified. Remember this: Thoughts that you resist or try to suppress, will only get stronger and more persistent. If you are troubled by a thought or fantasy, learn to accept it. It's in your mind, and you need to make friends with it, and sit with it. Like a dream, it's symbolic. The desire to merge with the person that we love (or are infatuated with), is a normal desire. Accept those feelings. You might also find that if you get the courage to talk to this girl and be friends with her, the fantasy might stop on its own. 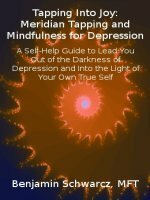 If you continue to feel that this thought is troubling or obsessive - then I would try EFT (Meridian Tapping) - which would probably eliminate the thought within minutes.